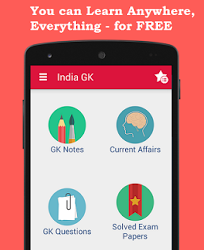 1, 2 March 2016 Current Affairs MCQs, Quiz, Questions: Current Affairs for March 2016, Daily Multiple Choice Questions (MCQs) for India GK, World GK and current affairs with Collection of daily objective type Question by www.Indiagk.net based on General Knowledge (GK) and General Science (GS) Questions for UPSC, State PSC, SSC, Police exam, Railway exam, SBI, Bank PO, IBPC, SSC, LDC, UDC, Army, Airforce, Navy, Coast Guard, Bank Clerk, TET and all entrance examination with current affairs News, Multiple Choice Questions (MCQs) available on Website www.IndiaGK.net and Android Apps with daily updates:. EESL Distributed 7 Crore LED Bulbs till 29th February 2016. EESL stands for ? Who is appointed New Police Commissioner of Delhi ? ‘Raisina Dialogue’ from 1st March 2016 begins in which city ? Government has approved the setting up of a Central Research Institute of Yoga and Naturopathy in which Odisha city? Total Eclipse of the Sun to Occur on -----------. While Partial Phase is to be Visible in India.